Time to sit down and get creative. 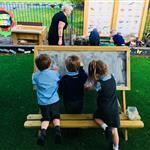 This pleasant Easel Table provides not only an area for children to sit, draw and write in a relaxed manner, but also provides a unique social setting for children to sit together and interact over their artistic creations and feelings. 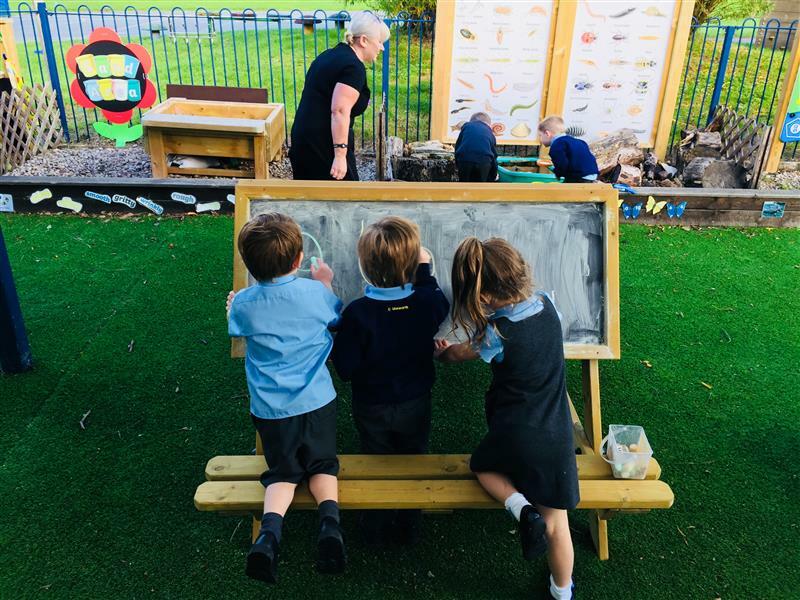 Having benches either side encourages children to discuss what they are drawing with each other and enables them to share ideas if others are struggling with things to draw or write. It easily lends itself to PSED development through sharing and cooperating. Allowing children to explore with colour and design boosts their creative independence and is perfect for development of fine motor skills when drawing and passing chalks and pens to each other. This Easel Table can easily be utilised during lesson time as it lends itself to the teaching of subjects such as mathematics and phonics, giving children the fun edge and engagement they require when learning. Note: Chalkboards and Whiteboards require maintenance to avoid chalk and ink build up. Clean regularly with washing up liquid and a wet cloth, rinsing in between wiping the surface with the cloth.